Bring the outdoors into your home interiors. Summer is on its way! After one of the warmest bank holiday weekends here in Cornwall, I can’t wait to work in my garden and gather fresh herb plants and flowers to decorate the home. When bringing nature elements indoors we feel happier, healthier, calmer and at the same time more energetic and optimistic. 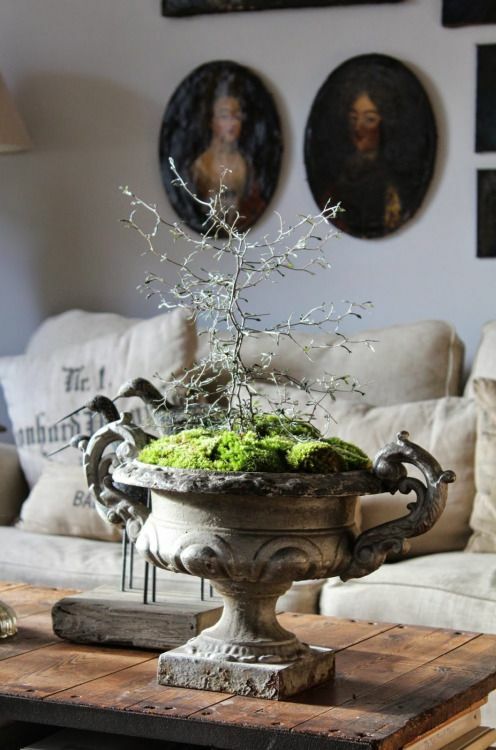 We don’t have to wait until Spring/Summer time to bring natural elements into our homes. Anytime of year is a good time to add vintage garden style or natural touches to our decor. 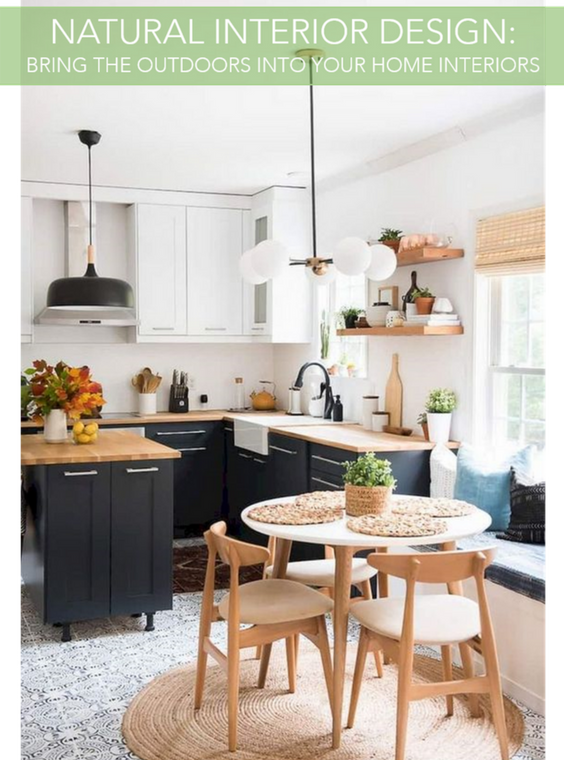 I love looking in magazines, and on Pinterest at bright, beautiful sun rooms and garden rooms that capture this aesthetic. Here are my top five tips for bringing the outdoors in. After a long winter of dark days, you can change the energy of a room by letting natural spring light pour in through the windows. A space can feel oppressive if it’s dark and dingy, or only lit by artificial light. Although you can change the shape and layout of your home, you will probably have more capacity to let more natural light in than you might realise. If your blinds are permanently pulled a quarter of the way down, then pull them up and notice how much more light can be introduced into your home! 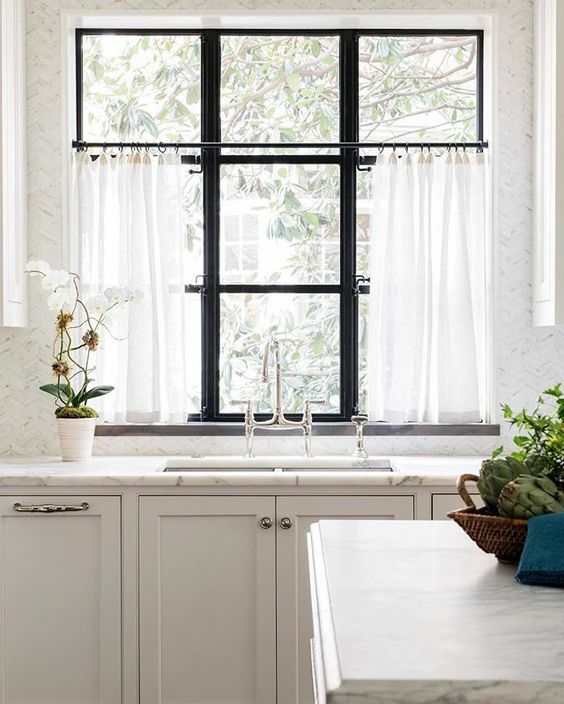 If privacy is an issue, you can install privacy window film that actually has the look of faux leaded glass, giving a vintage look. Adding soft sheers to your windows will add a touch of privacy but will still let light in. Mirrors also reflect light and can even mimic a window. Use beautiful mirrors around your home to make your interiors seem lighter and brighter. Plants and flowers are great for improving your mood and adding colour to your interiors. Whether it’s a single stem in a tall glass vase or a wildflower bouquet with lots of greenery, bringing nature into your home couldn’t be more simpler! In the kitchen, herbs are a perfect addition for adding colour, texture and a rich aroma, while tulips, peonies and roses add a softer, delicate touch to a bedroom. Succulents and beautiful vine plants are ideal for adding natural touches to any space and they are currently very much in vogue. Of course, you can’t just rely on plants and natural light to bring the outdoors into your interiors. To really give your home that natural feel, you’ll need to include natural materials. Consider investing in furniture made from natural materials that effortlessly reflect your organic interior design scheme. Rattan and wicker are beautiful and durable materials which can add vintage outdoor style to your interior space. Don’t stop with the furniture! 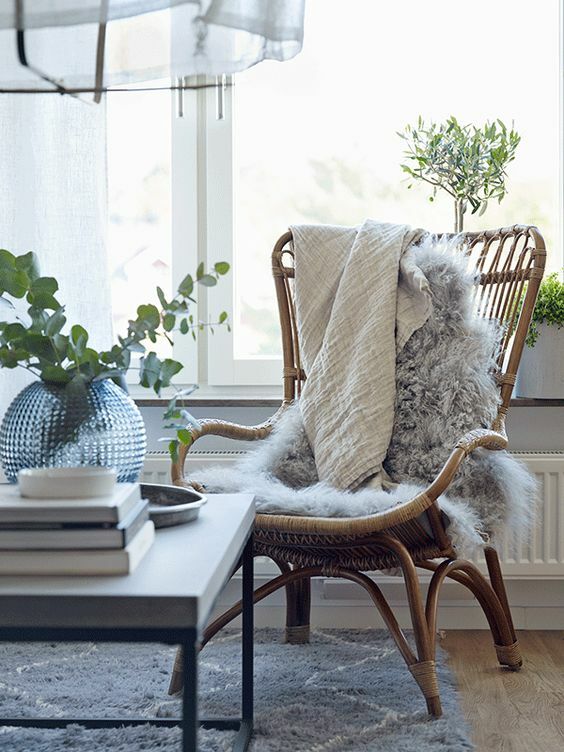 When it comes to buying throws and blankets and rugs, keep the colours and textures as natural as possible. Jute rugs are perfect for this aesthetic. 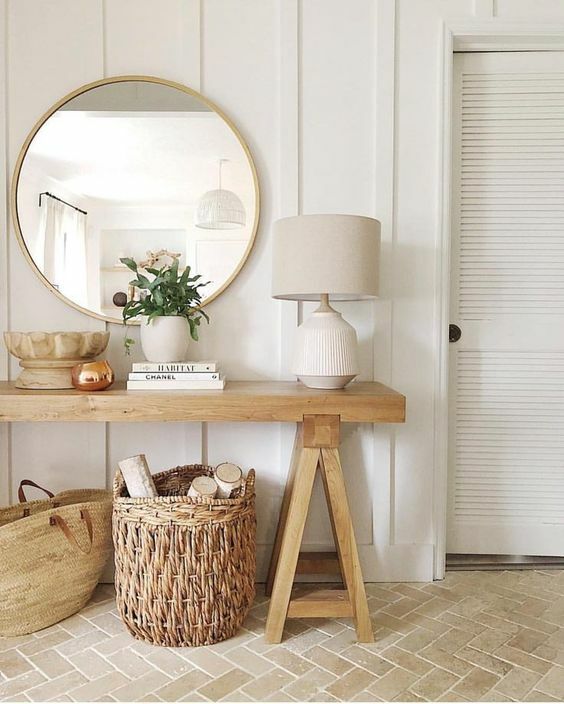 A woven throw, wicker basket and a rattan lobster pot lampshade are beautiful accessories for adding that natural touch to your interior scheme. To complete the look, opt for linen textiles that add a relaxed freshness. Don’t have green fingers? You can still add green to your home with beautiful botanical and leafy prints. Many people decorate with shop bought accessories around their home, but why not incorporate some of nature’s free gifts from the great outdoors? Instead of searching home decor shops for accessories, use pine cones, seashells, moss balls, driftwood and other natural elements to decorate your home. Dried roses and fresh flowers add natural, romantic French Country garden style. Using these items will help to give your home a subtle natural edge and you can easily change them seasonally. Once you have your natural touches in place, bring the outdoors in through art and other accessories. Hang a beautiful landscape or seascape above your bed. 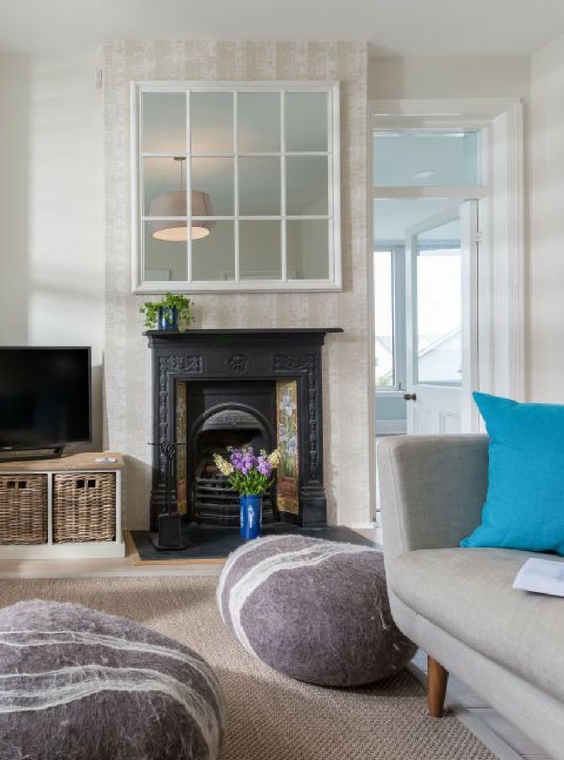 Aside from providing crucial focal points for your rooms, they’ll help to connect your home to the wider world. A gallery of vintage floral prints and paintings can also be stunning. 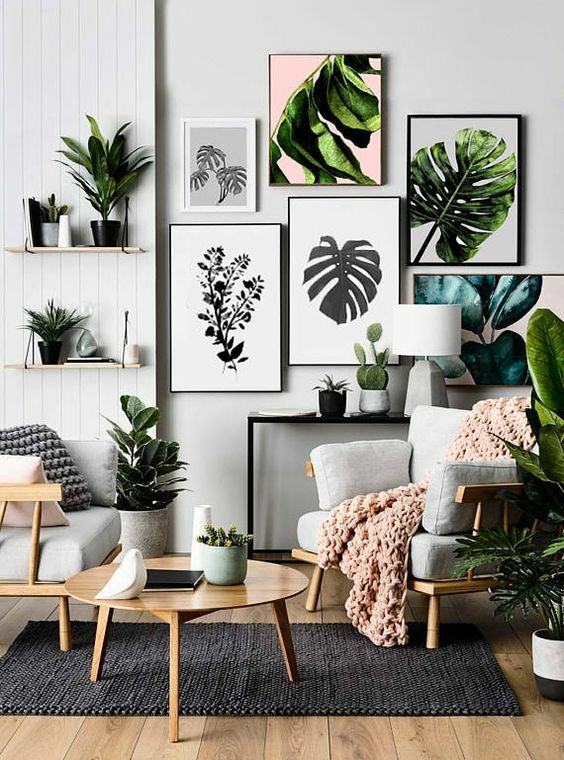 Vintage botanical and animal prints are lovely for bringing the outdoors in, and can also be easily changed with the seasons. 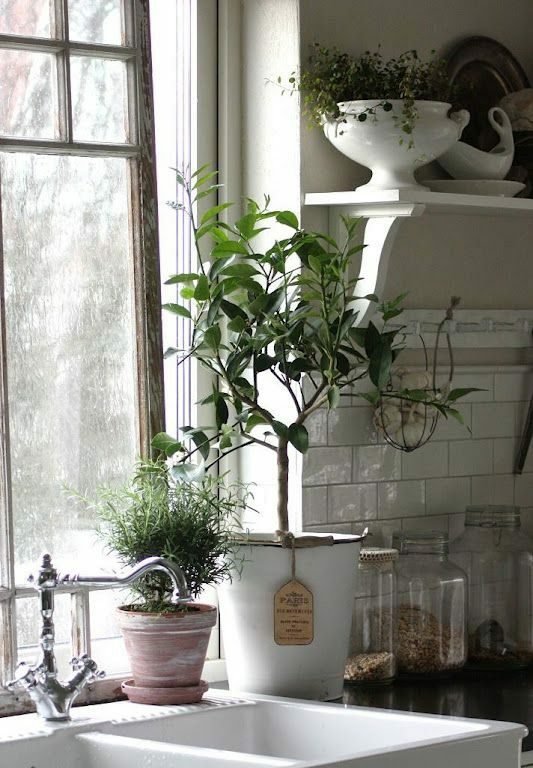 Don’t forgot all of the cute vintage garden themed items that you can use to bring the outdoors in too. Search vintage markets, car boot sales, and antiques shops for old flower buckets, vintage garden tools and seed packets to add an outdoor style to your indoors.